How does employee turnover affect your bottom line? Employee turnover— HR professionals and company accountants understand it costs money, but the true cost of turnover is often widely underestimated. It may be shocking to you, but researchers estimate the cost to replace an employee totals anywhere from 30% to 150% of an employee’s annual compensation. To put the true turnover cost into perspective, if you have an employee making an average salary of $40,000 a year, replacing that employee could cost you between $12,000 to $60,000—just to replace the employee. The higher up the pay scale, the more turnover will cost you. Say you have a manager with a salary of $100,000. If he or she leaves? You’re looking at a $30,000 to $150,000 loss. How can employee turnover be so expensive? When you hire an employee, due diligence pays off—in fact, by simply investing $50 or less in a thorough employment background check, you can potentially save your organization tens of thousands of dollars. Proforma’s background checks thoroughly examine an employee’s record, including criminal files, employer history, credit history, drug history, driving record, and when appropriate, media records. When you take on a new employee, you want to be sure the candidate has represented him or herself honestly and accurately—the risk of not knowing is too great. For every dollar an employer invests in employment screening, the return on investment ranges from $5 -16, resulting from improved productivity, reduced absenteeism, lower turnover – and decreased employer liability (according to the US Small Business Administration). The bottom line is that properly screening candidates will ultimately save your bottom line. 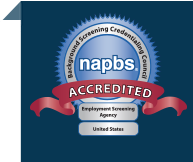 To find out more about how employment screening and background checks from Proforma can help you reduce turnover and save you thousands, visit our website at www.proformascreening.com. Note: This content, as with all content on this website, is purely informational. It may not be construed as legal advice. Please direct legal questions to your legal counsel.